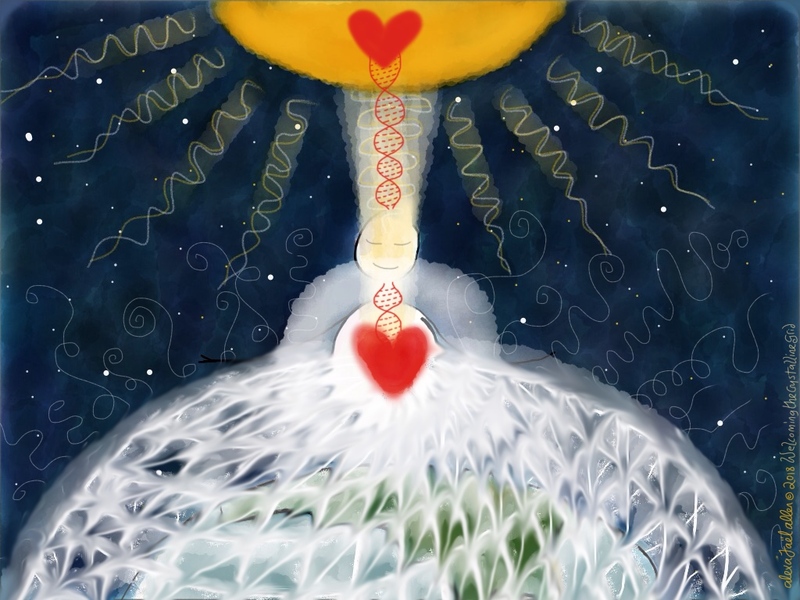 Crystalline Snow Flake Angels Falling in Response to the New Earth Crystalline Grid – Love Yourself To LIFE! 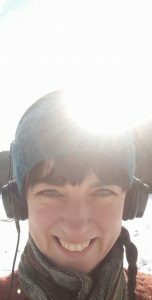 Today I followed my body down to Ilsham Valley to have a dance all over the snowy terrain. The sun was shining, the sky was blue, the air crisp and cold and the snow mostly undisturbed and ready. 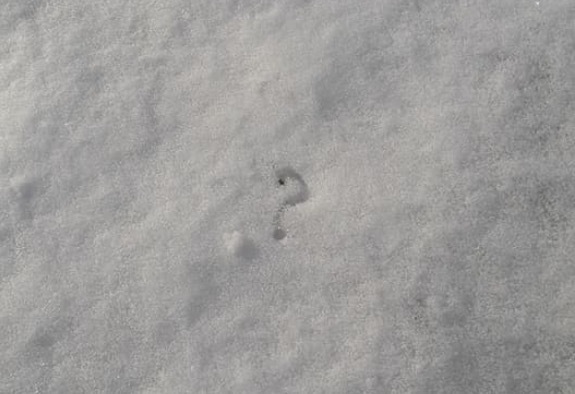 As I gently stepped through the snow I saw a very clear question mark in it. A definite question mark! I mused “Hmmm, what could the snow be asking me?!” . . . But I wondered deeper also . . .
I’d spent the morning studying and exploring the Akashic Records, and particularly learning about how to phrase well crafted questions to ask the masters, teachers and loved ones of the records. They have been letting me know that the questions asked, how they are structured and how they are actually being asked, is very important to the kind of answer you receive. So with this in mind I pondered on this question mark in the snow a little more and thought “Hmm, what might nature be asking me? Or, what might I ask nature? Or, what is it that I could be understanding right now? And then it trickled in . . .
“The new earth coming into existence is being brought forth through a 5D crystalline grid, encased within and around the earth. This grid has been being anchored into place by light workers placed around the planet. Each and every one of us are conduits for light, and each and every one us has been channeling and anchoring light into the planet, whether we are aware of it or not. Light workers, however, may be more conscious of this process, and some profoundly are, and so work with it intentionally. As the new earth crystalline grid gathers reality, strength and momentum, through it being welcomed, envisioned, celebrated, en-lightened, and pumped full of light, appreciation, and deliberate intentional allowing of love, peace and joy, the old 3D matrix earth grid loses its structure and solidity, causing the old paradigm to lose its grip. This is why we are seeing so much chaos at this time, the old world is losing its grip and its ‘keepers’ are trying to fight to keep it remaining. Simultaneously, the light coming in is highlighting all of this and so so much that has been hidden is now being seen, in the light. 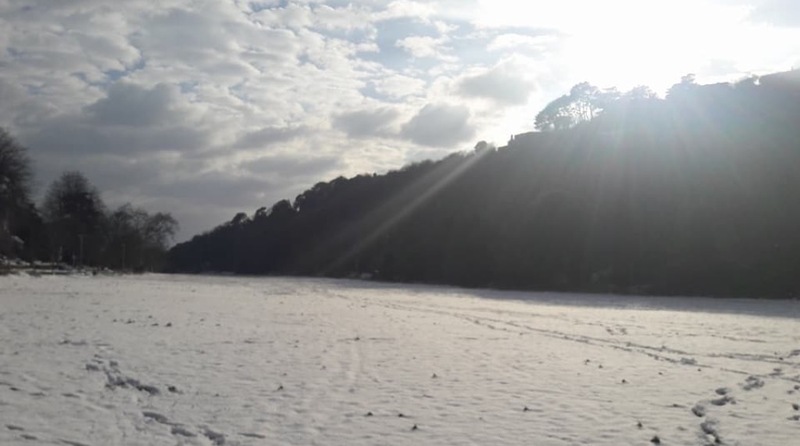 As I began dancing in the snowy field, to some gentle music, I began to realise that all of this snow, this amazing unlikely March 18th snow, had fallen from the heavens towards earth in a mirroring response to the White crystalline grid that is being called and beckoned up through Gaia at this time. Crystalline. Each and every snowflake is an awesome crystalline phenomena, and as each and every one of those snow angels comes to earth, holds hands and agrees to remain here for a while, blanketing the earth that we know, I see a physical representation of a Cosmic agreement which is happening. 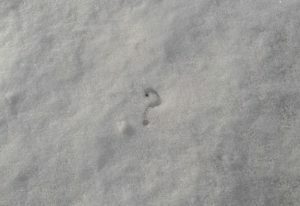 When I saw the question mark crisply looking up at me from a perfect patch of undisturbed snow, I imagine it saying to me “Do you see what’s happening? We (snowflake Angels) came to blanket your environment on March 18th so that you could all slow down and ponder for a while. “As you slow down and rest a little more, and therefore receive a little more, and therefore allow a little more, all of the cosmic waves coming through to earth at this time can be more readily absorbed and anchored in to the White crystalline new earth grid. We hold hands and blanket your environment to imprint into your being the frequency of the White crystalline grid. For we are crystalline! Each snowflake is a delicious sacred geometric crystalline being! And as we blanket your earth, causing you to slow down and be more in a receptive introspective mood, we enable the formation of new earth to get gridded and anchored more. It is no coincidence that we have come with this mission at this time”. As I danced and felt and knew and experienced this knowing and I ‘saw’ how the entire environment about me was radiating pure white light . . . Made up of crystal snow flakes!!! Ooooohweeeeeee! I danced more and more and more in the realisation. I danced in celebration of the new earth being born. I danced in appreciation of each and every snow flake being coming to help us anchor the light. I danced because the sun was shining on us all. I danced because it feels so bloody good to do so! I danced in the recognition that holding this awareness and dancing at the same time is one mighty way of anchoring in the new earth crystalline grid. 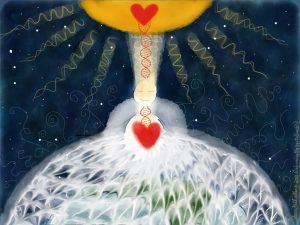 This entry was posted in Alexa's Journey, Random Stuff and tagged anchoring new earth, ascension, ascension symptoms, awakening, cosmic light, crystalline, crystalline grid, dancing, energies, energy, health, heart, hiw to anchor new earth, how to bring in, joy, light, lightworker, lightworkers, love, New Earth, new energies, snow, spiritual awakening, star gate, star seeds, starseeds, sun, the event, upgrades, well being, what's happening by admin. Bookmark the permalink.